Computers are very expensive electronics for the most part, and many of us protect them as much as we can. However, many people forget that their electrical system can cause problems with their computers. This is not something to be taken lightly, either. Electrical fluctuations can do as much damage to a computer as any other mishap. They can even completely fry the hardware within the computer in some circumstances. As a computer owner, it is important to see everything that could possibly go wrong; then invest in a UPS system to avoid these events. 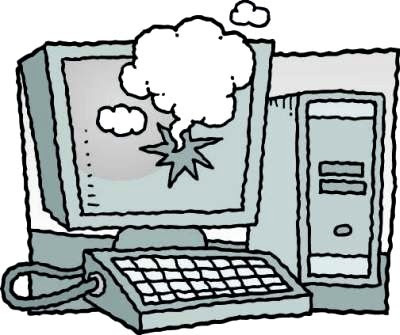 UPS systems serve a single, major purpose: protecting computers and other electronics from sudden power failure. They are very versatile devices, and can be used for other electronics as well. UPS stands for uninterruptible power supply; they are basically batteries, which provide continuous power even when the electricity is out. They are also very helpful in the fight against power surges, which will be discussed later. Have you ever found yourself working on your computer, when the power suddenly fails? If so, you probably noticed that all of your efforts were erased once the power was restored. This happens to many people across the world every day. In order to prevent this, utilize a UPS system. It connects your computer to the power outlet, but acts as a middle man in the process. It continuously monitors power flow, so that it can kick on when needed. This could be for power outages, or power saps. Since the computer’s power cord is plugged directly into the UPS battery, there will be no more worries during a blackout or large storm; the battery will automatically kick on, giving you the chance to save your files and data. These power saps and failures can also cause more severe damage than a single lost file. In fact, your entire hard drive could be wiped cleaned. Computers should always be shut down properly, allowing the system to prepare. When the power supply suddenly fails, the computer is forced to immediately power off. This can result in a massive loss of files, or even contribute to corrupted data. It can also cause problems within the computer’s processes too, not just the files stored within the hard drive. These tend to be less common occurrences, but are still a looming possibility. As mentioned earlier, UPS systems can also help with power surges. There are surge protectors available, but they do not offer the protection from power failure that UPS batteries can. These systems monitor the incoming electrical current to either block surges or make up for saps or failures. When a surge is detected, the UPS takes the brunt of the surge while the computer remains unharmed. Surges are notorious for destroying electronics, especially computers. There are many causes of surges, including lightening. They have the ability to destroy the internal hardware components of a computer, making them a rather serious threat. Thankfully, UPS batteries are available to help you rest easily about the safety of your computer. About Author:This was written by Tom, he works for the company Borri. They are one of the world’s leaders in uninterruptible power supply technology, so Tom thought he would share a bit of this knowledge with everyone out there.